We are investigating the conformational changes that the drosophila cryptochrome (dCRY) undergo when activated with light. 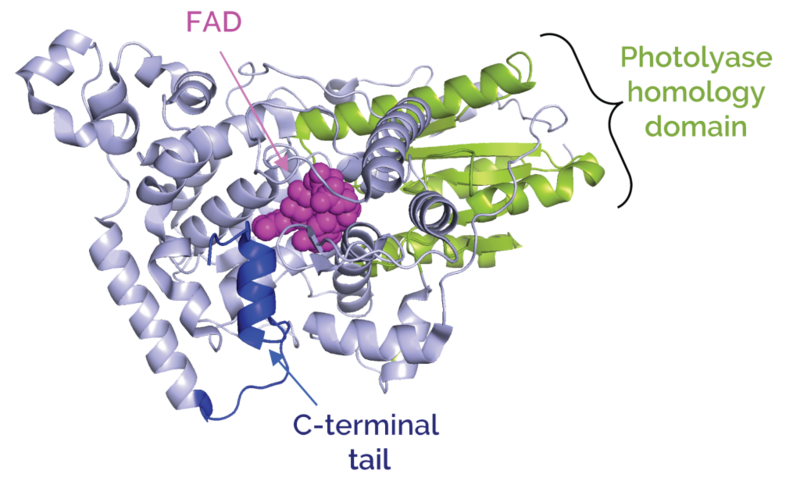 In particular, the C-terminal tail (CTT; see figure below) is a structural motif responsible for the recruitment of transcription factors involved in the regulation of the circadian clock. In this project we are applying optical tweezers to quantify the forces and lifetimes between the CTT and the protein core in the dark and light-activated states. This project is conducted in collaboration with Prof. Brian Crane from Cornell University.